​Chances are that if you’re the proud new owner of a new-to-you car, house, or business that boasts window tinting, it may be in need of removal and replacement. Excessive chipping, peeling and fading from long term damage and wear and tear can’t be corrected, but Window Tinting Ipswich is always here to help you with all of your window tinting needs—whether you’re taking it off or putting it on! Our mobile specialists don’t just specialise in car window tinting application! We also specialise in car window tinting removal. If you’ve hit your seatbelt against the window one too many times, don’t like the colour or simply want your vehicle window tinting gone—we’re here to help! We’ll bring all the products with our mobile team and can have your car’s window tint removed in as little as a few hours. We come to you, so whether you’re watching the footy, or sealing that big business deal, your vehicle will be ready and waiting for you when we’re done. Stop wasting your valuable time booking endless appointments, and missing out on work or other important events, and let us help you get on with your busy life thanks to our team of mobile tinting experts. Have you just moved into a business that has window tinting and you’re concerned about the way it looks? Worried what it says about your business? At Window Tinting Ipswich we can have your business looking like new in no times. We’re experts at removing privacy window tint films, safety window tint films, and we offer economical window tinting prices for removal. If you’re thinking that you want to start from scratch, or just want to install a different tint type, we can help! From our trusty designers, to our expert installers, we always have a window tinting specialist ready and waiting to assist you. Is your tint past its prime? Are you in need of a house window tinting removal specialist? Or do you simply need some advice from an expert on how to re-tint your house windows? Window Tinting Ipswich is here to help you with all of your residential window tinting needs. Whether you just want that old tint gone immediately, or you’re wanting to replace it with new tint, our expert team of installers can help guide you towards a suitable option for your home. Tinting doesn’t last forever, and deciding what to do with aging tint can be overwhelming. You don’t have to make these high pressure decisions on your own; let us help! We’ll help you create a plan, and we’ll even help establish a re-tinting schedule once the original tint is removed. 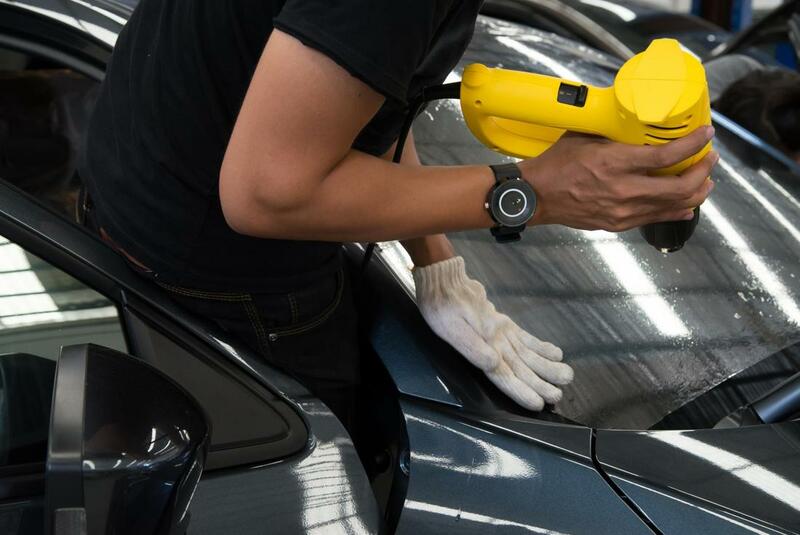 Our no obligation onsite inspections and quotes are just a part of what makes our business the number one window tinting business in Queensland. We’re always available, and with no obligation, you have nothing to lose!